Invasive species are species that are not originally from a specific region but have been introduced either on purpose or by accident, usually by humans. For a species to be termed "invasive" and not simply "non-native" it has to actively colonize new areas, sometimes causing great ecological damage while doing so. Because a species invasion is often a well-documented range expansion event, my current work focuses on invasion genetics. The two species I study are the lionfish, which is invasive in the US East Coast, the Gulf of Mexico, and the Caribbean Sea; and the Asian shrimp which has most recently invaded the US Northeast from New York to New Hampshire. Lionfish have been prevalent in the news lately because of the remarkable nature of their invasion. 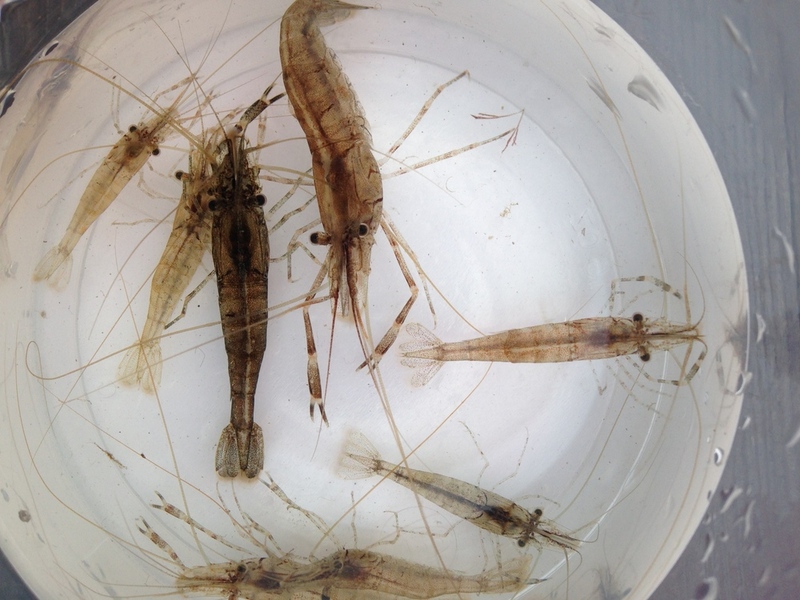 During the summer and fall of 2014 I was able to join Dr. Jim Carlton at the Williams-Mystic Seaport Program in Mystic, CT, during a shrimp survey that sampled marinas from New Jersey to northern Maine identifying both native and invasive shrimp. Through this field assessment and with the help of a dedicated group of summer interns, I was able to identify and sample populations of invasive shrimp along the New England Coast. See a news article about the survey here. Also in the summer of 2014, I was able to attend the Invasion Genetics Symposium at Asilomar in California. The symposium paid homage to Herbert Baker and G. Ledyard Stebbins, the fathers of invasion genetics. Articles as part of a special issue from the symposium are being published in Molecular Ecology.